Hi I'm Nala! 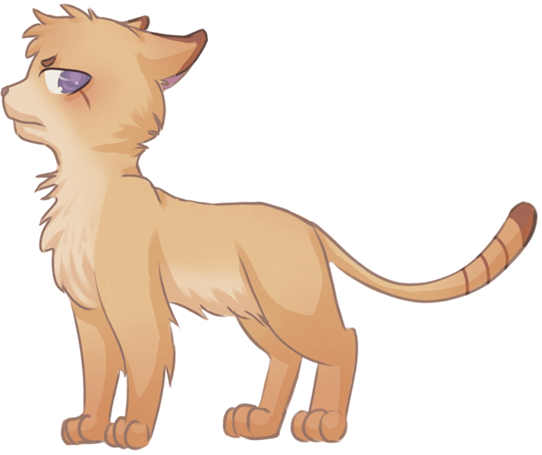 Welcome to my UC baby kougra project page! 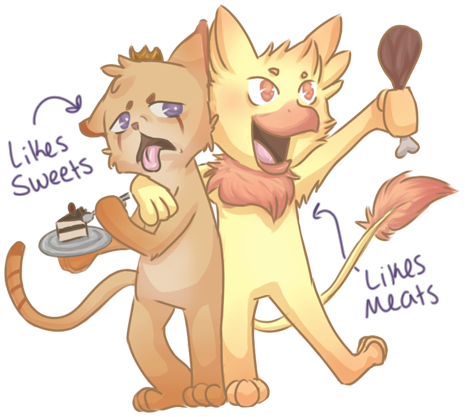 Since I'm still searching for a Kougra to adopt, "K" will be the stand-in name for the character I've dreamt up! This project page is formatted for atleast 1920 x 1080 screen resolution to avoid clipping. K is the eldest prince, destined to one day become king. His family's monarchy has struggled to retain power from threatening rebellions in the kingdom throughout his upbringing. He has witnessed many dangerous and troubling events, including the abduction of his little sister. These events have led him to become somewhat cold and selfish despite his young age. He remains emotionally distant not because he does not care for his loved ones, but because he recognizes that without gaining control and power, he cannot protect them. He is very clever, and is frequently underestimated due to his age and appearance. 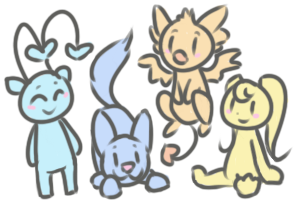 At first, I was very tempted to make K a traditional baby character: innocent, naive, goofy, energetic. After all, he's incredibly adorable. However, that type of character is limited in terms of development, so I decided to go in the opposite direction of my instinct. My vision for K's character is complicated - I want him to appear almost unlikable at first- somewhat spoiled, arrogant, impatient. Then, after learning the reasons that led to his bitterness and vengeful attitude, I want the reader to empathize with him and root for his success. Then, even in success, I want him to experience inner conflict that challenges the reader's conception of his character. For example: He assumes his sister has perished. What if he finds that she is still alive, but that rescuing her would require him to set aside his desire for power and revenge? What if his sister, having been raised by members of the rebellion, joined the resistance when she came of age? Are his priories really placed on her well being, or has his vision become clouded by notions of revenge and a desire for power? K without his accessories- Drag to the adress bar for a larger version! Hi, My name's Nala! Check out my Portfolio to learn more about me! Aside from neopets, I also love MH3, Aion, Animal crossing, Pokemon, Sonic adventure, and Zelda. My favorite TV shows are Game of Thrones, Bojack Horseman, Orange is the New Black, Breaking Bad, The Office, Parks and Rec and a ton of animes. My zodiac sign is a leo, and my personality type is INFJ. I'm a huge fan of tea, baths, and candles (especially when I enjoy them all at the same time). My favorite food is sweet potato, and I have a yellow lab who is my world. I enjoy creating comics for the Neopian times, participating in the Beauty contest + Random contest + Poetry contest, avatar hunting (293 so far), making screenies, creating my screenie tutorial (in progress), customizing my pets, and kad feeding. I've recently come back from a hiatus, but before my break I had great group of active friends in the screenie community and on the Help chat. 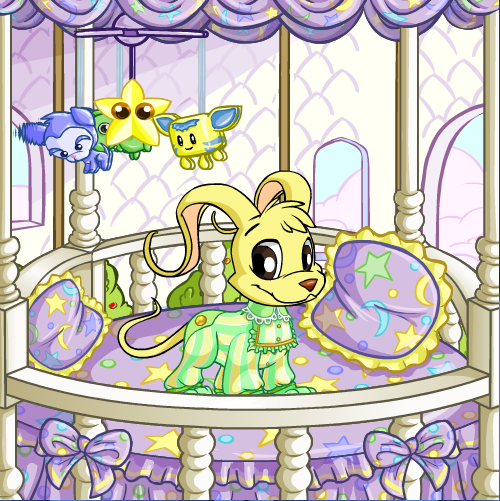 I have been playing neopets for about 14 years, since I was 7! Back then the only way I knew how to make NP was by playing flash games that I was honestly pretty bad at. 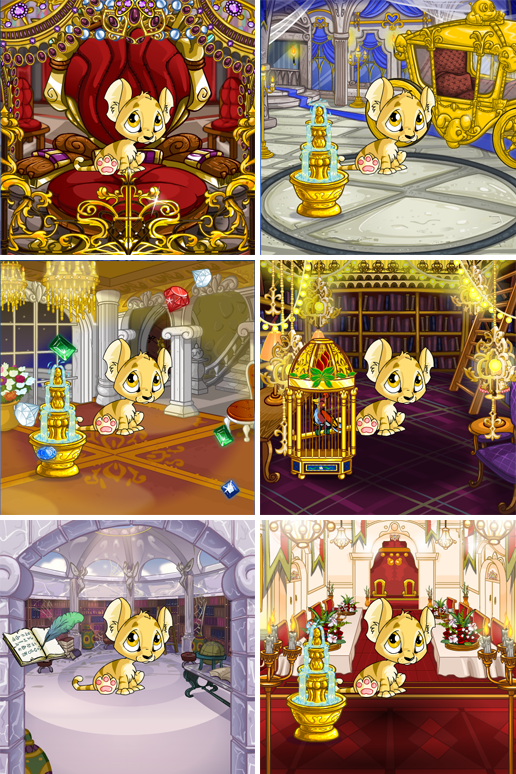 Despite the fact that I never managed to save more than 60k, I'd hoped to one day earn enough for a baby neopet. 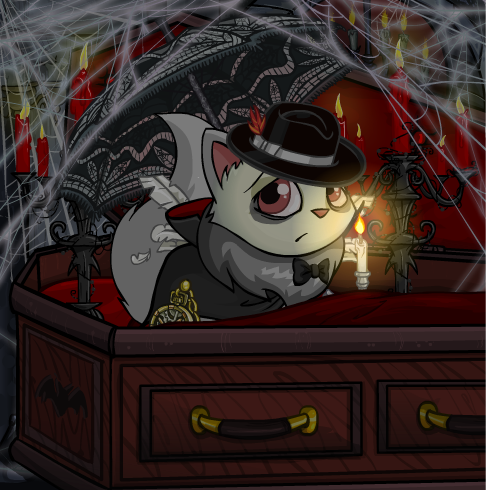 I got a little older and a little better at playing games, and eventually saved up and painted my first baby neopet. Now I have seven! The artwork of UC babies draws out a nostalgia of a time when the idea of obtaining a baby pet was a dream: a goal that I never thought I'd actually be able to accomplish. It reminds me of when Neo was prosperous and mysterious to me in my young age. I enjoy this site now in other ways as an adult, but there's something to be said for the amount of inspiration I drew from this site in my childhood. When I was young I'd run around the park fantasizing that I was a baby kougra in some sort of hilarious Lion King crossover. I drew the same characters over and over again in my screenies, slowly teaching myself how to draw and advancing from stick figures to where I am now. I've come up with lots of character stories about my pets, which I'm too embarrassed to share online but that I enjoy thinking about. I guess what I'm trying to say is that to me, UC baby kougras represent those things about my childhood that I remember fondly. My overactive imagination, my passion for digital art, my geeky side that likes to think of cool stories. Those are important aspects of myself that I don't get to embrace a lot in real life. 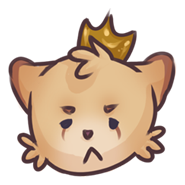 K's petpet is the plushie Noil mentioned in the short story. It was made for and given to him by his sister several months before her abduction. She made it in her brother's image, adding purple detailing as it is his favorite color. The Noil plushie symbolizes both his adoration for his little sister, as well as his resolve to avenge her. 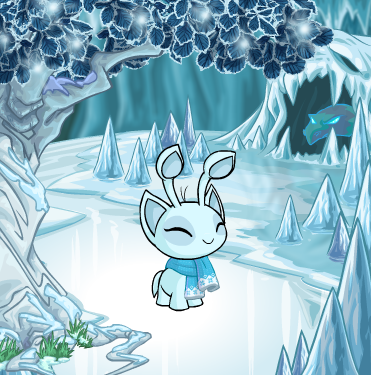 The petpet's name is Puck. Although it's just a hobby and I have no formal training- I LOVE to draw! Valdmier won first place in his species a few weeks ago and got goldbanned, so K would be my sole muse at the moment if I find him soon! I'll probably use one of the drawings of him that I've included in the application unless I have a few days before the comp starts to draw something fresh! He'll enjoy a victory cookie if he wins a trophy! This is a little limited with the UC restrictions, but I designed a few sets of what K's customization will look like! I already have some of these items, and am in the process of collecting the others. After returning from my hiatus, I noticed that screenies are essentially gone from the site due to the recent changes with photobucket. I have taken it upon myself to try my best to revive screenies, since they were such an instrumental part of me being inspired to learn to draw in the first place! 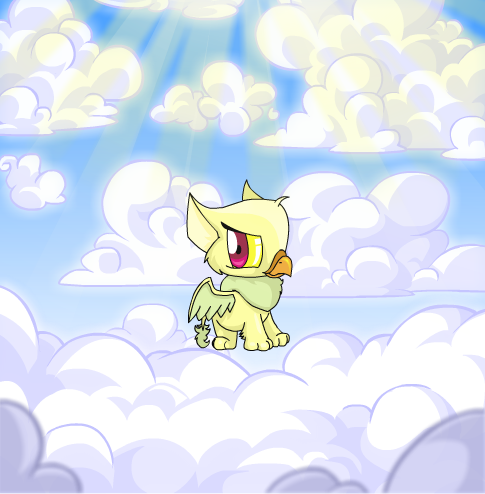 When I find a UC baby kougra, I'll make him an equal co-star in the new and improved screenie page that I've started. Vald's personality is more joyful and obnoxious, so adding a character like K would add dimension and maturity to the page- thereby making it enjoyable to a wider audience. Aww look, they're getting along already! Story:Inspired by Beauty and the Beast, Beiila befriends the Mutant Gelert, Acepte, and shows him how to find beauty in the world around him. "Bee" was the star of my screenie page for 8 years! 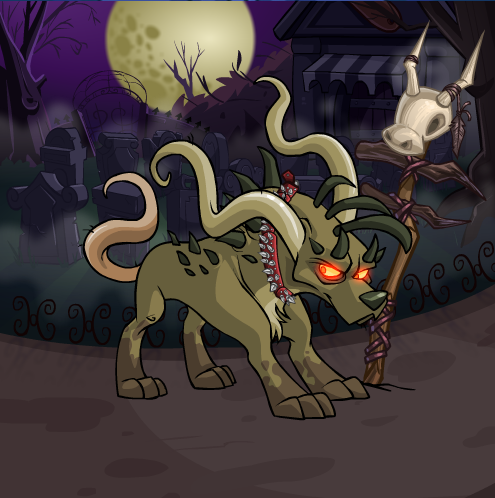 Story: As a mortal, Feiyoer was an malicious Neopet. He became fixated on a kacheek named Chubumi after sneaking into one of her ice-skating performances, and proclaimed that he loved her with all his heart. He pursued her affection by stealing things for her, lying about his life to impress her, etc. Feiyoer eventually planned a dangerous and elaborate proposal which accidentally led to the couple's demise. The judgement of his life deemed him "bad", and he was transformed into a demon - eternally separated from his love. 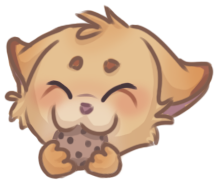 Story:Chubumi was a kind hearted but naive neopet when she was alive. As an Ice skater, she was pressured a lot by her cold family and coach, and never developed experience with affection. She began to unconditionally love the first person to offer her affection- Feiyoer. Her innocence prevented her from seeing his destructive behavior, and she eventually perished in an accident along with Feiyoer. The judgement of her life was deemed "good", and she was reborn as an angel- eternally separated from her love. Story: Olao is the guardian of Winter, born from the Moon. She's always at odds with her seasonal counterpart; Valdmier. They always fight over the Spring and Autumn months, which is why it is freezing on some days and hot on other days. Story: Valdmier is the guardian of Summer, born of the sun. He is often found squabbling with Olao over the months between their seasons. 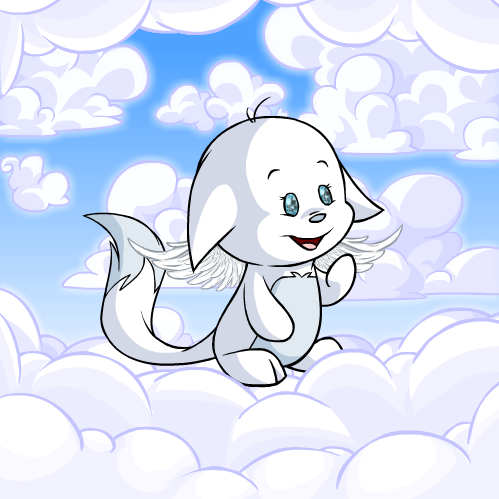 He spends much of his time in the sky, moving clouds around so that every part of Neopia gets to experience some of his sunlight. I designed/drew/wrote/coded everything in this application unless otherwise stated via hover credit!